The Law Offices of Scalise-Qubrosi have been proudly serving the San Antonio and South Texas area with disability legal representation since 1997. We are proud to assist those who deserve to be helped due to mental and physical disability. With over 26 years of experience, we are confident we will be able to assist you with your claim. If you have any questions regarding our areas of practice, please feel free to contact us at 210-737-7529. Your initial consultation is completely free. Our friendly and professional staff will be able to assist you with any questions or concerns you may have. We look forward to assisting you soon with your case. Celeste Scalise-Qubrosi has been licensed and practicing law since 1984. Celeste is President of the San Antonio Social Security Attorneys & Claims Representatives Association. She is a member of the American Bar Association and a member of the National Organization of Social Security Claims Representatives. She is licensed before the US Supreme Court and the Supreme Court of Texas. She has been certified by the VA, for representation in VA disability denials. She is licensed in the United States District Courts for Western Texas, Eastern Texas, Northern Texas and Southern Texas. 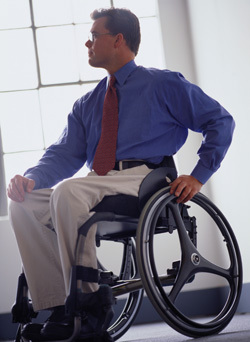 Our mission is to improve our client’s quality of life by helping them obtain Social Security Disability benefits. Our clients are unable to earn a living due to poor health or disability.